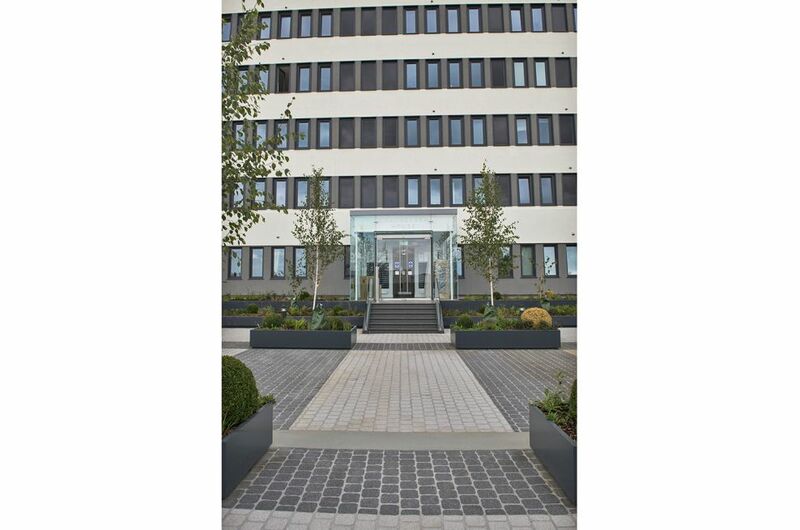 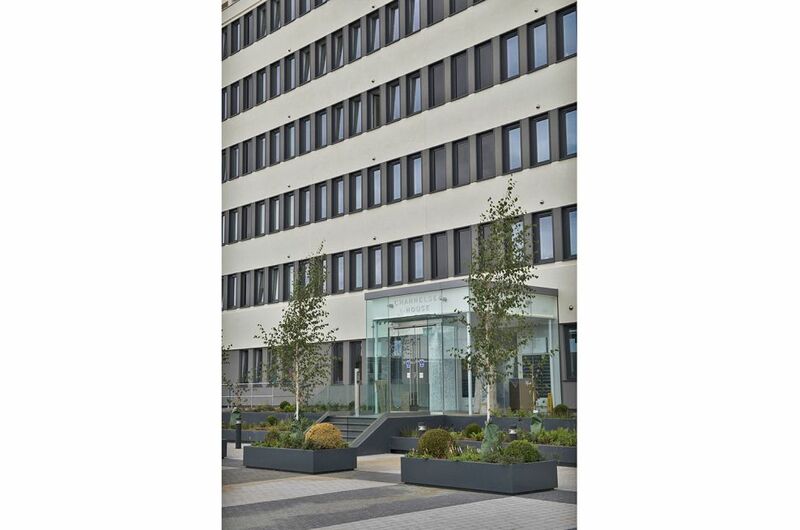 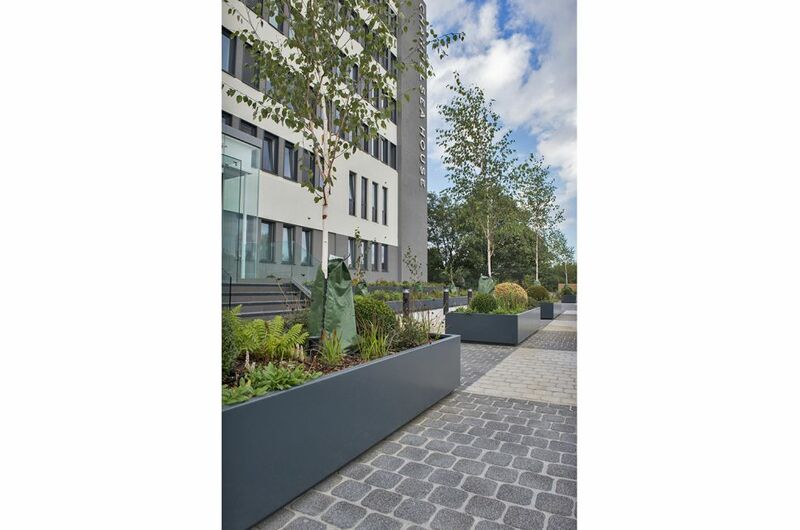 Bespoke steel planters were supplied to Channelsea House: the residential redevelopment of a former office building in Stratford, London E15. 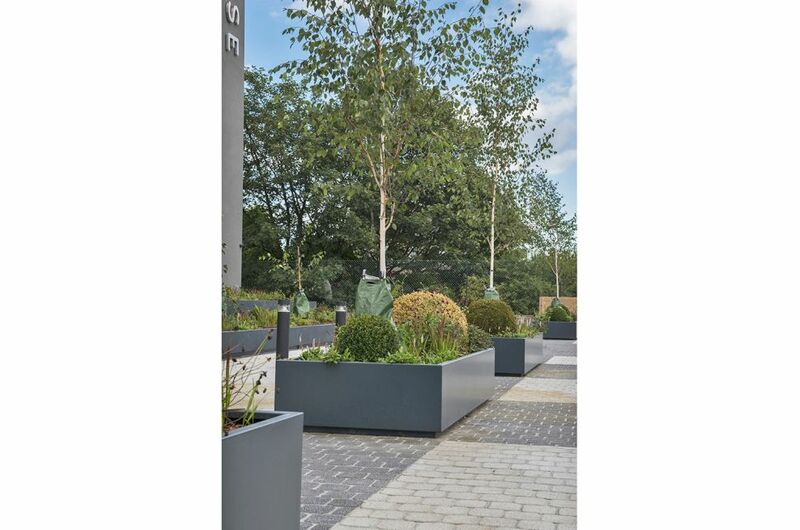 A total of 10 planters were supplied, each L 2700 x W 1200 x H 500mm; and were manufactured from 3.0mm thick Zintec Steel, polyester powder coated to RAL 7016 [Anthracite grey]. 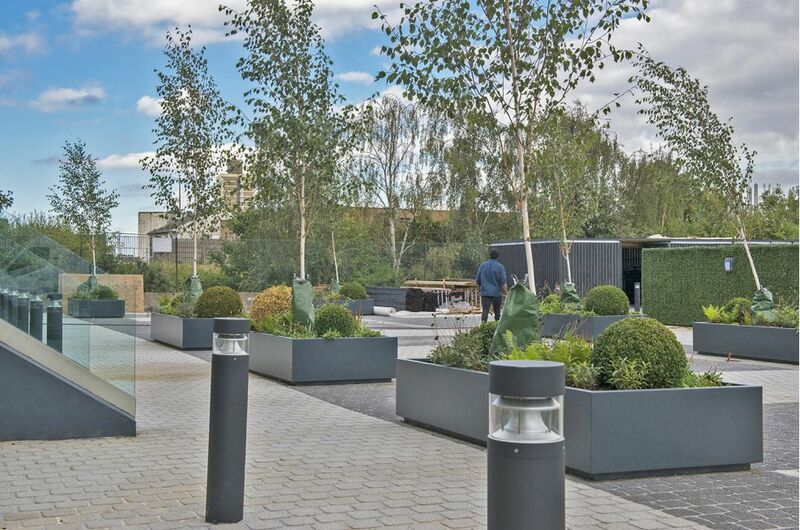 The planters included IOTA’s standard design solution for LED under-lighting: based on a plinth, to create a 50 x 50mm shadow gap; plus a hidden, 20 x 20mm recess in the top face of the plinth, to house the LED light strips. 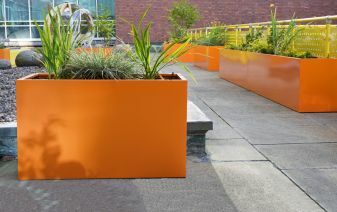 Planters were also supplied with adjustable feet. 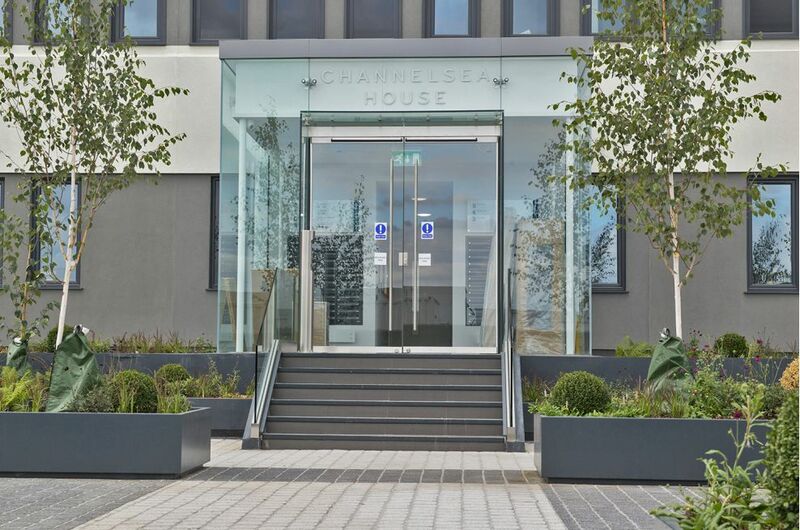 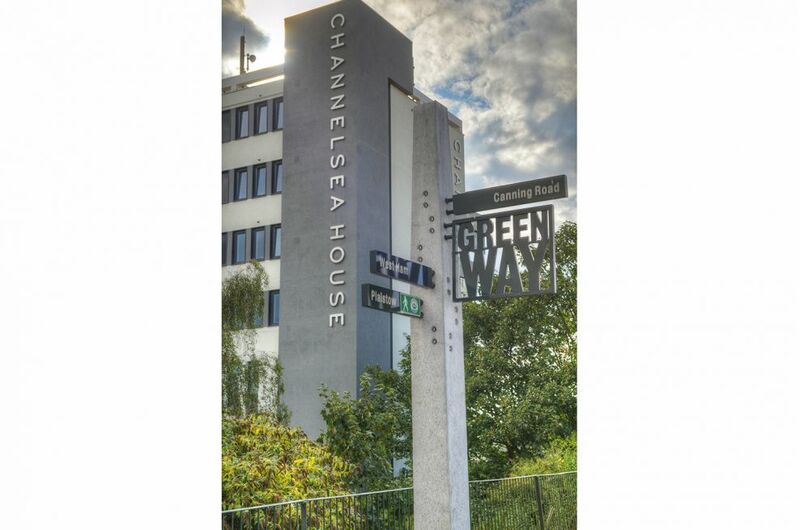 Located on Canning Road in Stratford, Channelsea House is a conversion of a former office building into 72, one and two-bed, contemporary open-plan apartments. 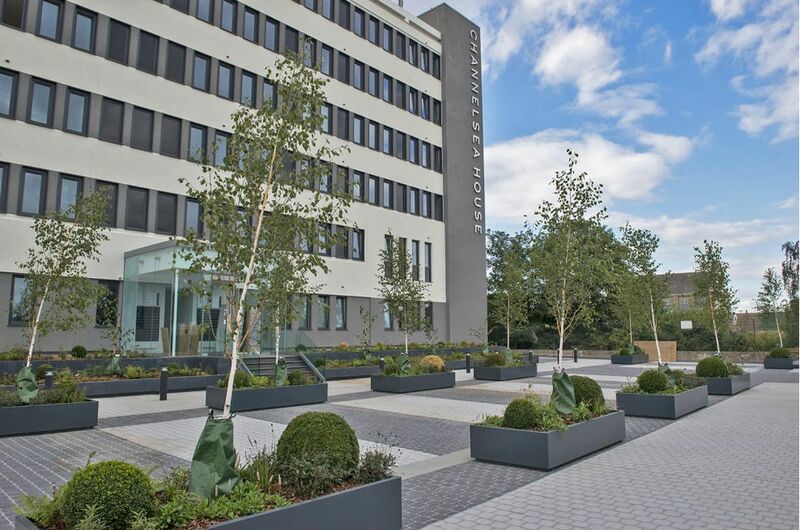 The development features not only a complete internal redesign and refit; but also a new façade, landscaped gardens, and secure underground car parking. 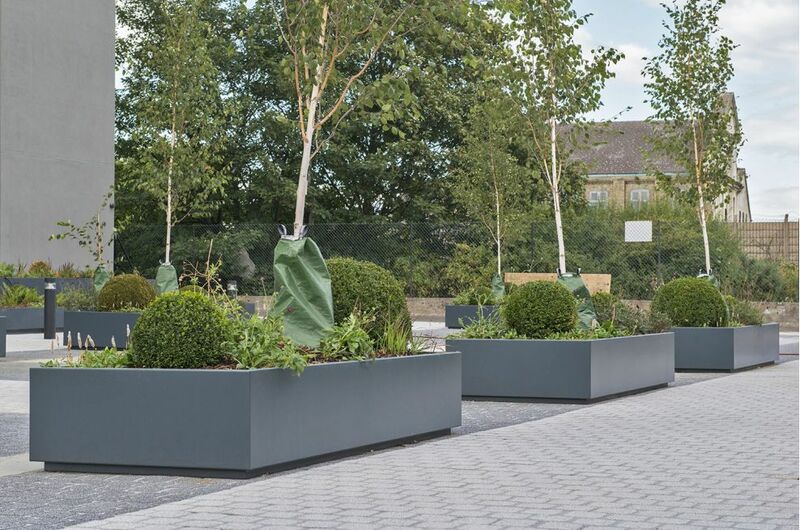 IOTA’s planters were commissioned for this project directly by the developers, IDM Properties LLP. 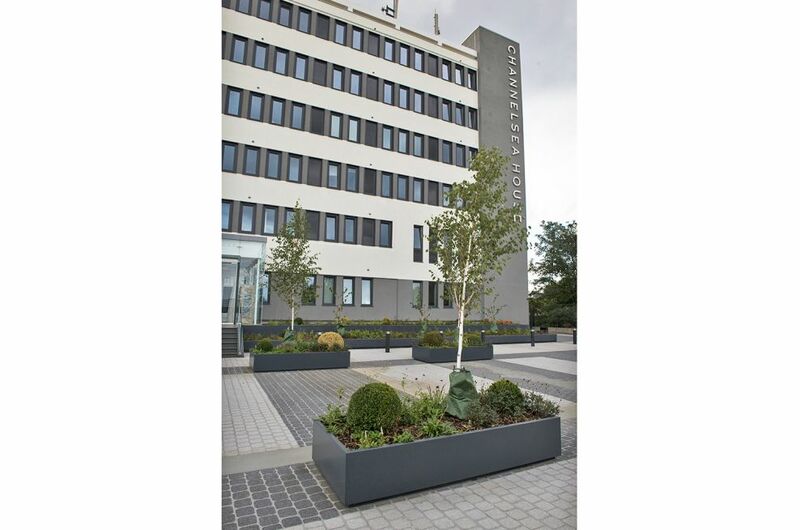 IOTA’s delivery was on the basis of design, manufacture and supply, with planter installation and planting by others.